Biratnagar, Nepal's second largest city (municipality), and is famous for giving more superior political leaders to the country than any other part of Nepal. Biratnagar is the industrial centre of Nepal. Biratnagar is located in Koshi Zone on the southern Terai belt of Nepal, near the south-eastern border with India. The population of the municipality was 166,674, according to the 2001 census. Biratnagar is located at 26°28'60"N 87°16'60"E.
It is the administrative centre of Morang district. Fortunate to boast immense fertile land mass, Biratnagar is also reputed for being agro-and -commerce hub. Being located on southern part, the city actually borders Indian town, called Jogbani, where lot of locals go for shopping, or to travel some other parts of India. Biratnagar is linked with Kathmandu by road and air. Biratnagar Airport is the regional hub for vital air services serving the remote Eastern Hills, and there are regular flights to Kathmandu. 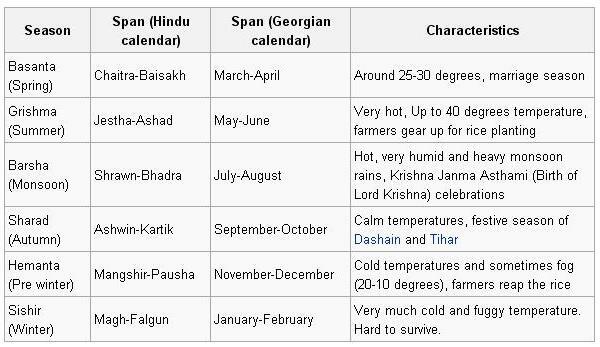 The weather in Biratnagar is mostly hot and can be divide into 6 definite seasons. In 1936 Nepal's first large scale industry, the Biratnagar Jute Mills, was set up at cost of 160,000 Indian rupees, it is the largest jute mill in the country. Today, the city has some of the largest industrial undertakings in the country. While taking a bus travel to Biratnagar from any other places, one can see a large number of industries on both sides of highway. Hundreds of small and medium sized industries operates freely including chemical, edible oil, steel, rice mill, liquor, soaps factories, among others, covering large portion of area that links Biratnagar with Itahari, a central transit point of eastern Nepal. Lately, these medium and large sized factories are facing a hard time as a result of constant political upheaval in the country. Also it has been affected by "Madhesi movement", an uprising that the minority ethnic people in the Tarai have started against the regression and humiliation that they claim to have suffered for a long time, from the state, and " Pahades", people belonging to majority ethnic group. Biratnagar has a population of 696,636, (2009) is Nepal's second biggest city. The nation's Muslim minority lives in and around Biratnagar. In March 2008 two people were killed at the Choti(jama) mosque during evening prayers - a political group supporting the monarchy in Nepal. Nepal Defence Army carried out the attack, the attack lead to a curfew being imposed on the district. In 2008, a survey for a railway extension from India was initiated. Tourism The Koshi Tappu Wildlife Reserve (90-minute drive) is a bird-watching spot. The Koshi Barrage on the Koshi river (two-hour drive) is an impressive sight. Biratnagar is the hub of air routes in eastern Nepal. Many tourists go to Biratnagar on their way to the Himalayan states of India, Sikkim and Darjeeling. Visitors also arrive Biratnagar by air to begin their trekking to mountains such as Kanchenjunga. Visitors also come to visit Nepal's tea growing regions like Ilam and Dhankuta and often spend a day or two in Biratnagar. Bagalamukhi Mandir (): It is famous temple in biratnagar. Special day for worshipping in this temple is Thursday. Myth about this temple is that demon Bagala was torturing people and people worshipped for goddess and goddess came to rescue people and she killed that demon. People made this temple to tribute to that goddess which they called Bagala. Later this name changed into Bagalmukhi. Baraha Kshetra: It is an important Hindu pilgrimage site located at the confluence of Koka and Sapta Koshi rivers. According to Hindu legend, Lord Vishnu as His fourth avatar Lord Nrsimhadeva came down to earth and destroyed Hiranyakashipu, an evil demon at this very spot. Pitchara: It is in the west of Bus Park of Biratnagar. There is a BKVM school and a Durga Mandir. A monastery is being constructed there. Biratnagar Haat Bazaar: a weekly open-air market basically for selling and buying of vegetables, meat and other essentials, take place every Sunday, Mondays, Wednesdays, Thursdays and Saturday in different parts of Biratnagar. Madhumara, Hamro Chowk: It is the most beautiful place in Biratnagar. The atmosphere of this place is quite hygienic and fresh, with plenty of green plants, it is a residential area. Koshi Project Chowk: It is an important government and residential area of Biratnagar, located near Mahendra Morang Campus - a public campus of Tribhuvan University. The area is mainly popular for the offices of the biggest project of irrigation of Sunsari district and Morang district. Biratnagar Eye Hospital Chowk: Newly developed chowk after the establishment of Biratnagar Eye Hospital. Previously this chowk was famous with the name 'old airport chowk'. It is near by Road Cess chowk to the north and Koshi Project to the west. PG Campus, a public post graduate campus is its neighbour. The Koshi Tappu: A wet wonderland in Nepal famous for bird-watching expeditions. It rests along the flood plains of Sapta Koshi river in the Terai belt of Saptari and Sunsari districts of eastern Nepal. It is believed to be one of the best wildlife-rich wetlands of Asia. Two hours drive from Biratnagar is all it takes to discover a hidden wetland in Asia. Jogbani: Jogbani is a city serving border between Nepal and India. It is a major shopping destination for people of Biratnagar as well as nearby cities like Dharan and Dhankuta. From Jogbani any one can travel towards innerpart of India by train or by road. Also Jogbani has got huge market for the Nepalese society people to get goods at lower price than in Nepal. Aqua Park: It's situated in the corner of Biratnagar and usually couples come on around in the place for dates. You can often see couples hanging around this place. Budhnagar gram: It is situated southern east of Biratnagar city and known as a capital of pre historic king Birateswar. It is nearly endangered heritage of Nepal. King Birat ruled over this region in historic period and even there we can find the palace of king Biratnagar. Jamun Gachhi: This place lies in the western boundary of Biratnagar i.e. near Keshalya River and near airport. This place is on of the faster developing places in Biratnagar. Recently, it's been declared as 'No Alcohol' zones. People of this place are cooperative and they have recently build a highway linking to Sunsari District of Nepal. There is high unity between jamungachhies people and a club name Jamuneshwor Yuba Club which organises many programmes throughout the year. Recently water tank was constructed. There is also a temple of lord shiva in the heart of Jamun Gachhi. Women have taken initiative to reduce the poverty level of that place and to develop it as the model place not only in Biratnagar but in the whole district. Youth are the ones who have taken Jamun Gachhi to its developing phase. Bargachhi: This place is mainly known for Gograha School. It falls on the way as you travel from the airport to Jogbani. It is also known as the hub of the "Monkey Gang" which was notorious in the 1990s. Pokharia: It is a heart of samrat sporting club it is in the northern direction of Biratnagar and this place was named after the public school called "Pokharia School " established in 1959. Pushpalal Chowk Located in the suburbs of city this place is known for its peaceful location and close access to Airport, Fire Station and Birat Housing. Teentoliya Located in the suburbs of city this place is also known for its peaceful location and is right near the highway to Indian border, Jogbani. The Culture of Biratnagar is the blend of Indian and Nepalese cultures. A lot of festivals are the same but only the manner in which they are celebrated differs among Nepalese and Indians living in Biratnagar. Some of the popular festivals are listed below. Ashar Pandhra: A festival celebrated among Nepalese farmers. It is celebrated around June, which is also time when the rice plantations start. Farmers celebrate this festival as a joy of start of rainy season, as most of agriculture depends on natural rainfall. Although Biratnagar doesn't have lot of land people still celebrate it. People eat food such as yogurt and beaten rice (Dahi Chyura) with banana and mangoes on the day. Villages near to Biratnagar like Katahari, Rangeli, Amtola, Ramailo, Hoklabari, where much of farming is done, celebrate this festival actively. Krishna Janma Asthami: Krishna Janma Asthami or the birthday of Lord Krishna is celebrated actively and together by both Nepalese and Indian communities. People tend to open small stalls everywhere where they keep a statue of Lord Krishna. Anyone visiting the stall gets little bit of prashad (some fruits). Also there is a culture of Jagram (staying awake all night) on Janma Asthami night. On the day there is also a tradition of Rath Yatra (Chariot pulling). It's basically like a parade, where a chariot is pulled by people and basically whole of Biratnagar turns up to witness the event. The next day is a bit gloomy as all the statues of Lord Krishna are taken to the river nearby called Singya and given away to the river. The process is called "Murti Selaune". Dashain: Dashain is celebrated mainly by the Nepalese communities. Generally there are ceremonies in the Kali Temple on the main street. The event lasts for 15 days. Tihar and Diwali: Tihar is celebrated by Nepalese community which lasts 5 days, among the days is a day called Laxmi Puja which coincides with Diwali. Diwali is a Hindu festival but these days it has become everyone's festival. People light up their house with little lamps called diyo generally fuelled with mustard oil or ghee (saturated fat). This page was retrieved and condensed from (http://en.wikipedia.org/wiki/Biratnagar) see Wikipedia, the free encyclopedia, September 2009. This information was correct in September 2009. E. & O.E. Nepal was very interesting and hospitable place to us.